The Maxibright DigiLight range of Digital grow light Ballast's including the new 150w Digital Ballast. This product has had rigorous in-house testing and proven reliability in the field that ensures quality and reliability. 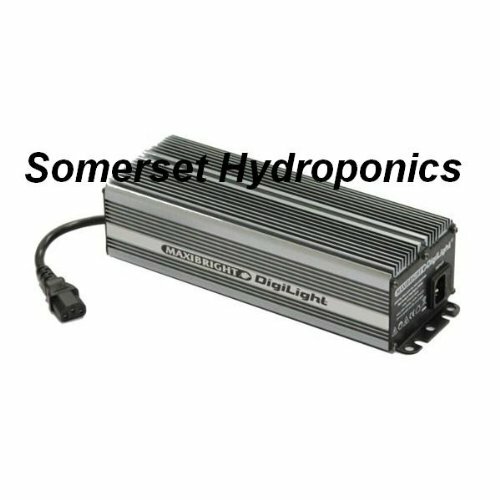 Electronic ballasts are not the same as Digital Ballasts. Both ballasts share similar components but an electronic ballast does not have a brain. An electronic ballast will regulate output voltage and current based upon fixed parameters, whereas a digital ballast has a microprocessor that controls the output to the bulb.